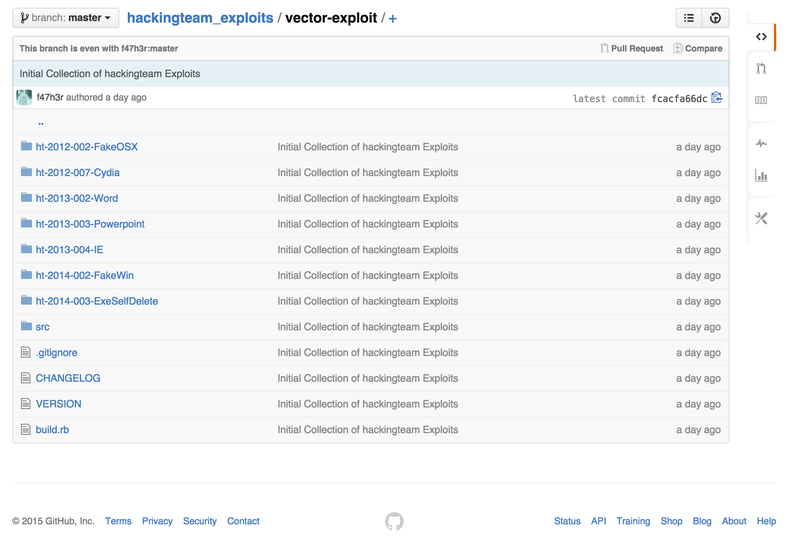 This is a screen cap of the vector-exploit directory in the hackingteam_exploits repo on GitHub. My initial look at the HackingTeam Exploits source code found projects using a number of different programming languages: Ruby to attack OSX with a fake zip file, lots of Python run rampant (e.g. modern script kiddies), and a C++ project that looked like it was associated with Microsoft Visual C++ (maybe the zero-day kernel Flash exploit everyones patching today). I cloned them as private repos. Let’s see if GitHub tries to delete them.